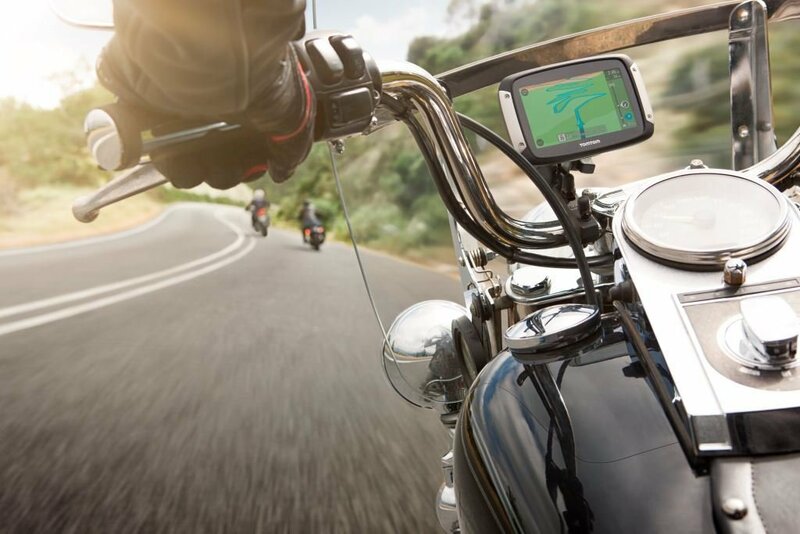 We represent another great GPS device offered by Garmin – this is the Garmin eTrex H. This perfect navigator device is of immense help for those, who are planning to cross the most adventurous territories. Be sure, you’ll have not a single problem in locating your position quite fast and with great accuracy even if you happen to appear in canyons or in hidden places. This is thanks to the WAAS-enabled GPS unit being highly sensitive. So, as you see, neither thickest woods, nor tallest trees or buildings can hinder your way to your desired destination. The eTrex H will be your only reliable friend all along your way! 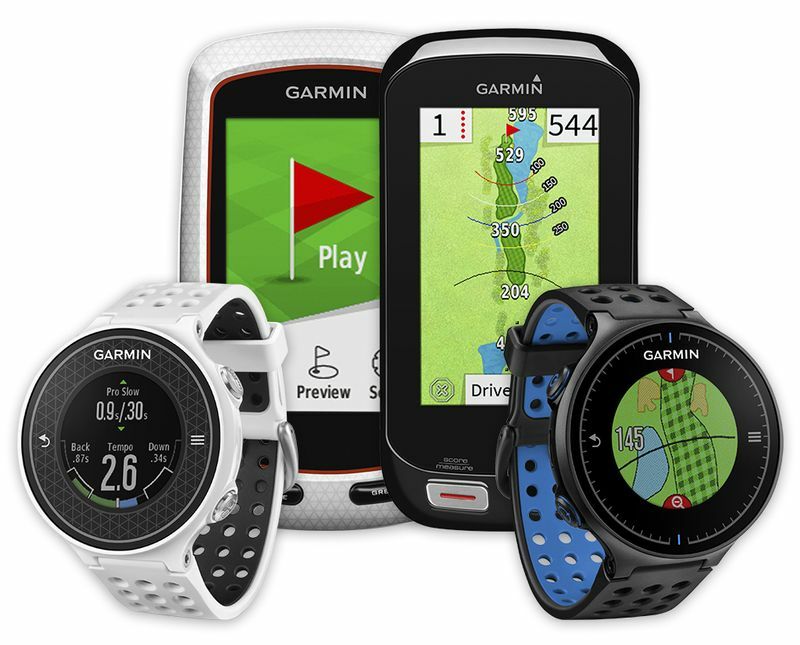 As compared with the original one, this Garmin eTrex H is of great intuition and endurance, excellently lightweight, and can perfectly fit in your palm. As for using this fine device, it is pretty simple! 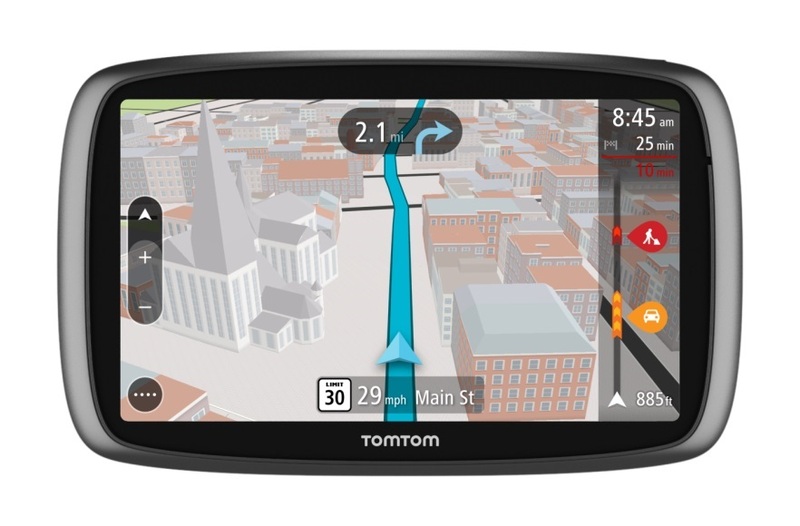 Both the buttons and the display are quite comfortable to be used. As for the screen light, you’ll be able to read it both in the light and in the dark. Another great feature about the device is that weather conditions are not a problem for it – the eTrex H is IPX7 is water resistant, thus being usable after being put into the water. 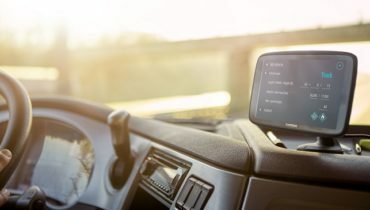 As for the memory of the device, it can store up to 500 waypoints marked with their graphic symbols and names, which is so helpful for pointing out the selections. 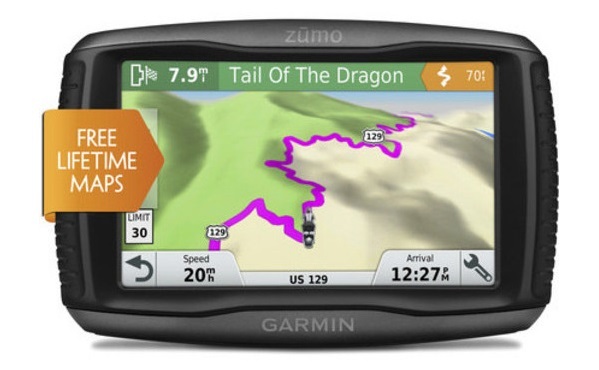 There is another feature to be greatly praised – this is the Garmin TrackBack feature. It is designed exclusively to make the tracks be reversible up to 20 times, and then, to be able to get back to the start. As for the automatic operating track log, it offers 10 tracks (saved) with 10.000 points. Besides, it enables you to retrace the given path due to the both directions. Moreover, you’ll be able to enjoy a calculator for fishing and haunting, information on the sun and the moon, and a serial interface for your PC. 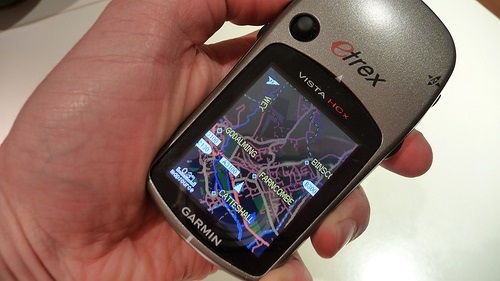 I have purchased this Garmin eTrex H Geocaching GPS for primary use. As compared with other devices sold at higher prices, I can state it has the same perfect sensitivity and excellent processing power, signal sensitivity and location resolution. I used to have other GPS devices which failed in many places, but this one is great in providing quite accurate and precise data on this or that location. Both the older (the yellow one) and the latest versions operate just excellently. 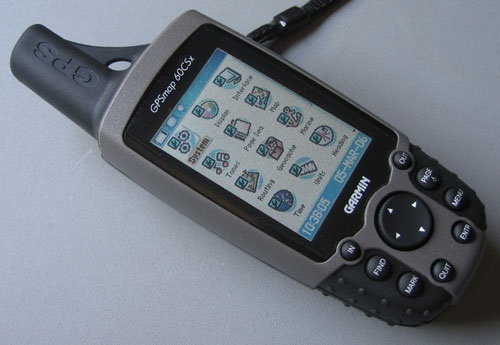 This Garmin GPS unit is foreseen especially for those, who are looking for devices that will serve them as point-to-point navigators – for geocaching or finding the way back, etc.. 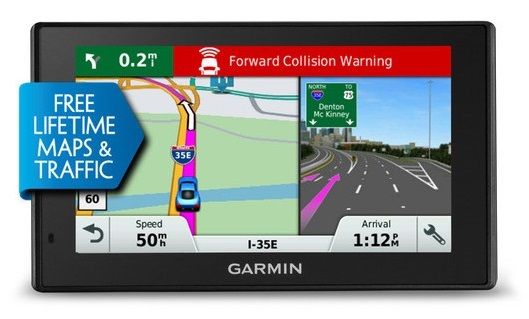 Anyway, it cannot be said to be designed for those, who are trying to find a network navigator for roads. Didn’t you know that this “H”, standing for “High Sensitivity’, was introduced in 2007? Well, the new one looks like the older Yellow version. The only difference is that the words “High Sensitivity” right above the screen are written in red. Be the way, you can still find the older units on sale at a pretty lowered price. So, all these factors should be kept in mind when going through the products offered by the markets. There is a point I found also mentioned in other customer reviews – this is the fact that it takes you much time to take it out of the box. Well, this refers particularly to adjusting the almanac, that is, its digital description of satellite positions in the sky transferred on a regular basis, and also to the satellite signals. As for me, I have spent 3 hours on all these things – I even started thinking it was out of order. As for the start-up time, it is approximately 5 seconds. Anyway, you shouldn’t get upset about it, for this is only for 1 time, and then you just get down to enjoying all the perfect features of your Garmin eTrex H!